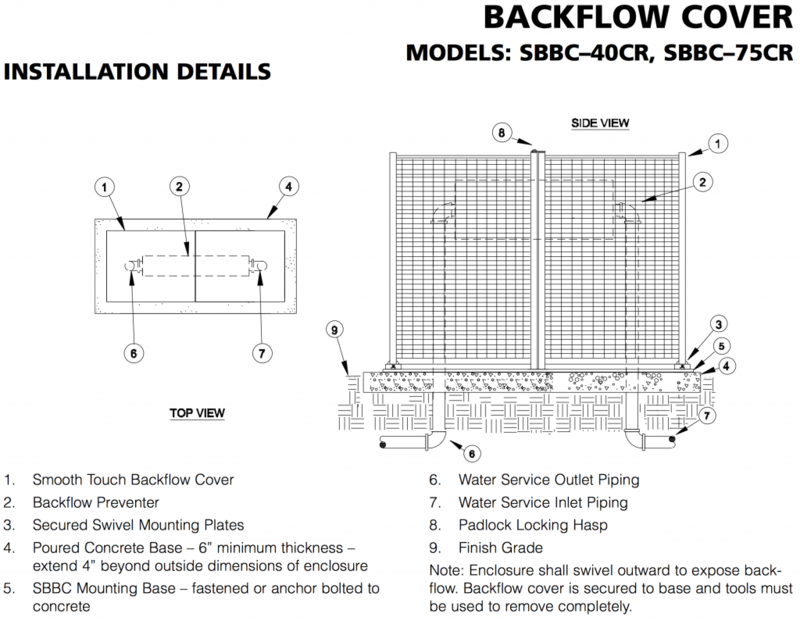 The backflow enclosure shall be of a vandal resistant nature manufactured of formed cold rolled steel tubing and rod to prevent handling injury. 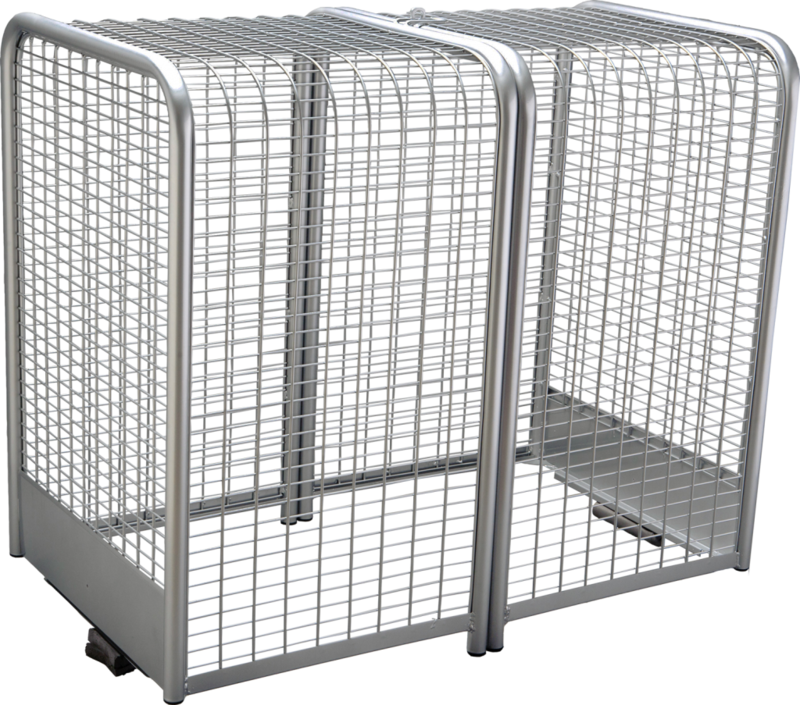 The locking mechanism and mounting hardware shall be manufactured entirely of stainless steel. The frame of the enclosure shall be constructed of one and one quarter inch tubing. The top sides, and end panels shall be constructed of rod welded together forming a one by two inch rectangular pattern. The vertical rod shall be three sixteenths and horizontal rod shall be one eighth inch thick. The SBBC-40CR and SBBC-75CR shall be clam shell design with padlock hasp on to where two pieces join in the closed position. Enclosure ends shall have a mounting lip on each side which attaches to mounting which is submerged into concrete. Enclosure shall be positioned one and one half inches above concrete to allow for drainage. Vandal proof brackets shall be installed during installation. The cover shall be covered with a zinc base powder coat then powder coated with a polyester TGIC coating having a minimum thickness of 2.5 mils.